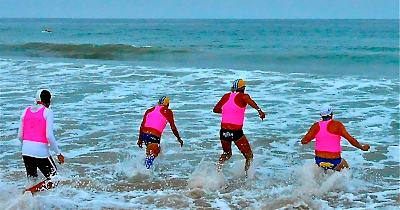 So we strongly encourage everybody to do the shuffle, the stingray shuffle, that is... Move them feet side to side if you can, rather than stepping or running through the shallows. 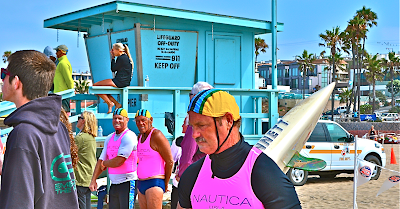 And the remedy or fix is still hot water, as hot as you can tolerate, with one lifeguard attesting to how good the hot water feels. 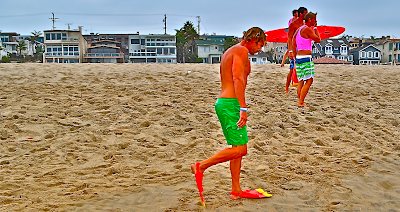 • Wear your sunscreen. 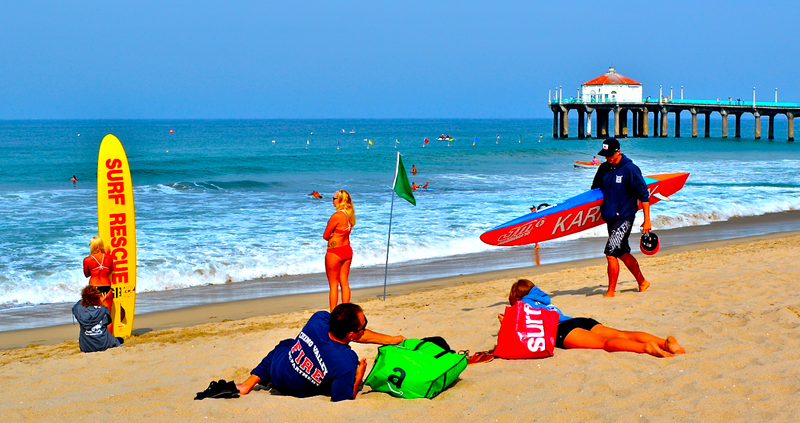 Know your SPF! 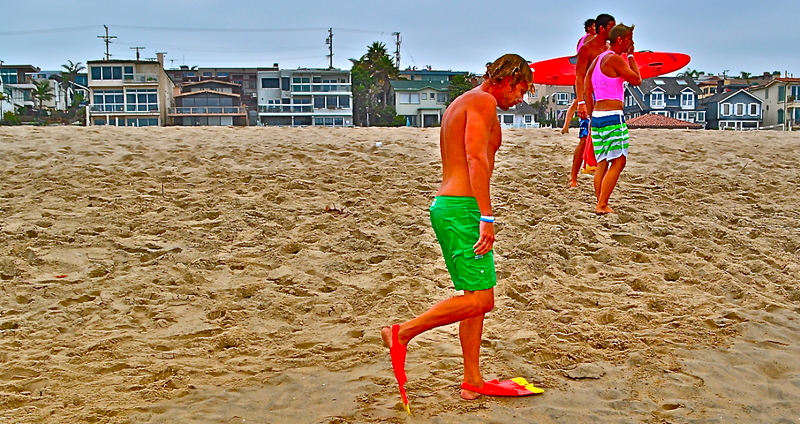 Cover up! 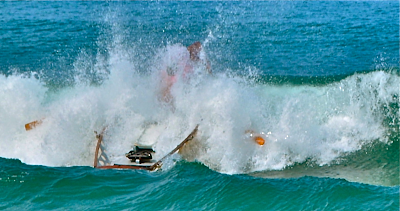 Photo courtesy of Richard Mark. 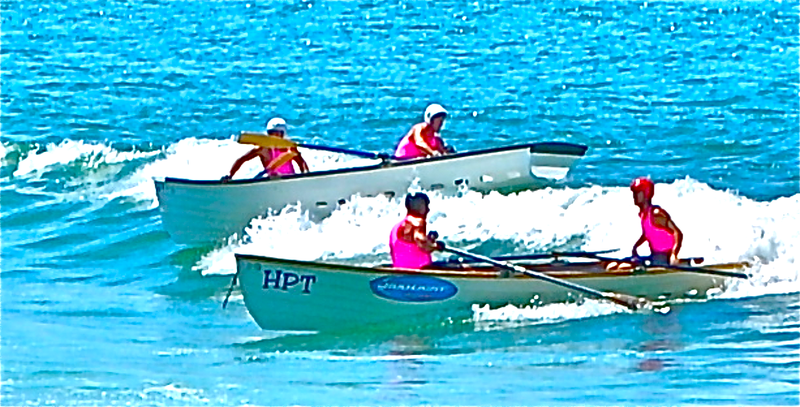 Photo by & Copyright Charmaine Mark 2013. 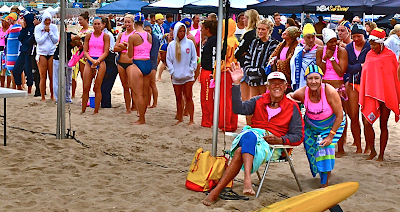 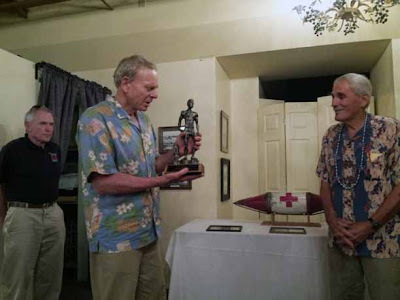 John "Matty" Matesich announced his retirement at the recent annual Cabrillo area party on Aug. 14th in San Pedro, Calif. Matty (with a "y"), age 75, has been a recurrent lifeguard for the last 57 years. 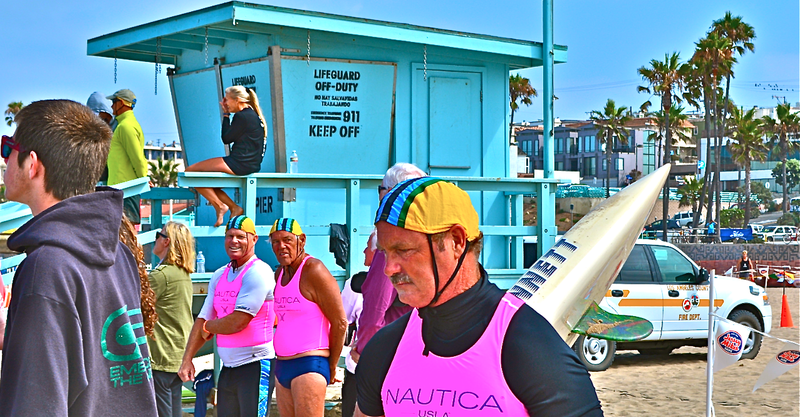 Due to his recent knee replacement, he felt he could no longer perform the duties required of an ocean lifeguard. 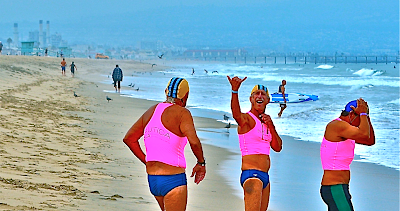 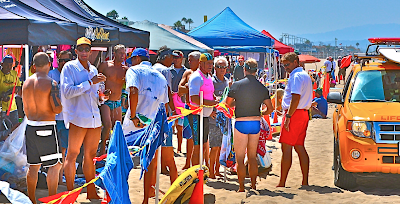 In attendance were many of the local retired South Bay lifeguards: Ed Nelson (57 years), Chick McIlroy (56 years), Joel Gitelson (51 years), John Burich (48 years), Bob Bartlett (48 years), Vic Pappas (45 years), Kenny Atkins (40 years), Scott Linkletter (37 years), Mark Lozano (36 years), and Ed Butts (43). 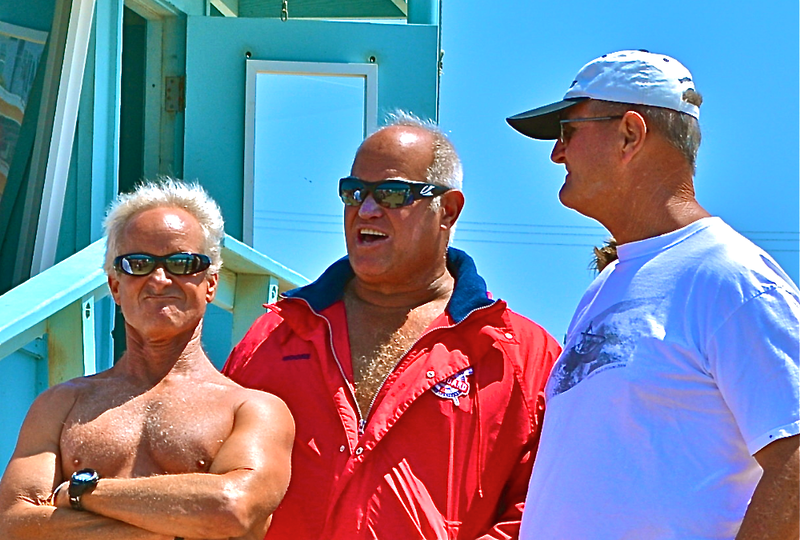 Presenting Matty with the Bronze Savage was Richard Mark and Hal Dunnigan (57 years). 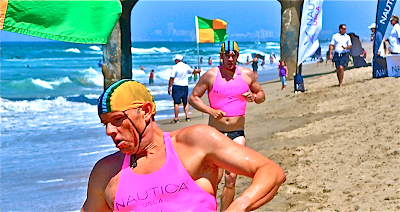 Matty's next big event will occur during Mardi Gras in February, 2015 when he will be crowned King Argus XXXI. If you have never been to New Orleans, here is your opportunity. 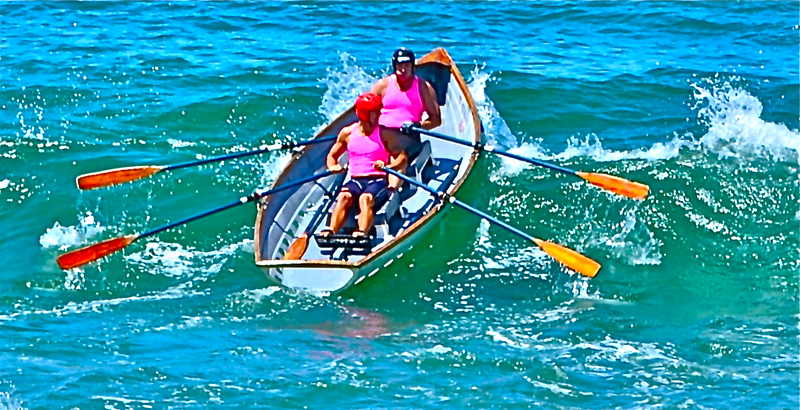 Photo by & Copyright Will Maguire 2013. 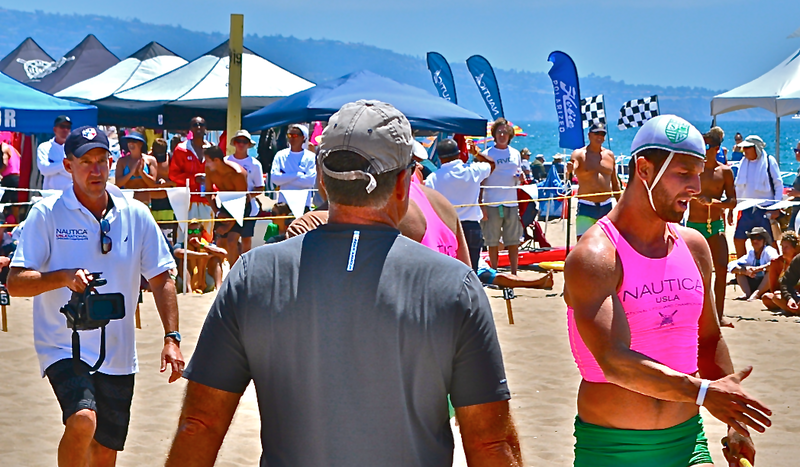 August 8 - 10th, 2013. Below are the shots which we made separate close ups of which we hope you will enjoy as much as we have. 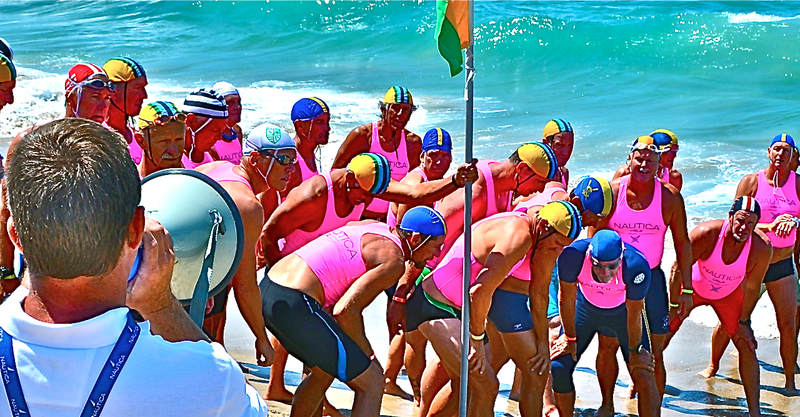 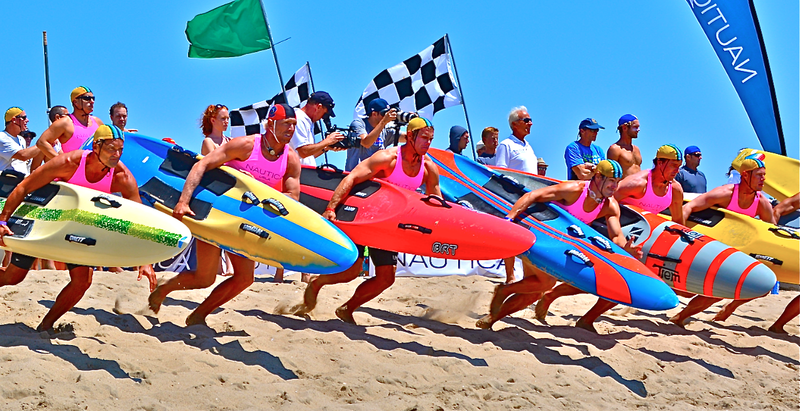 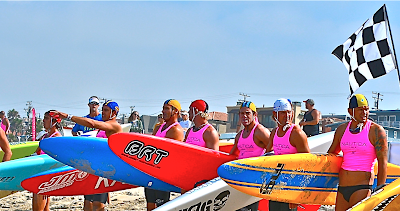 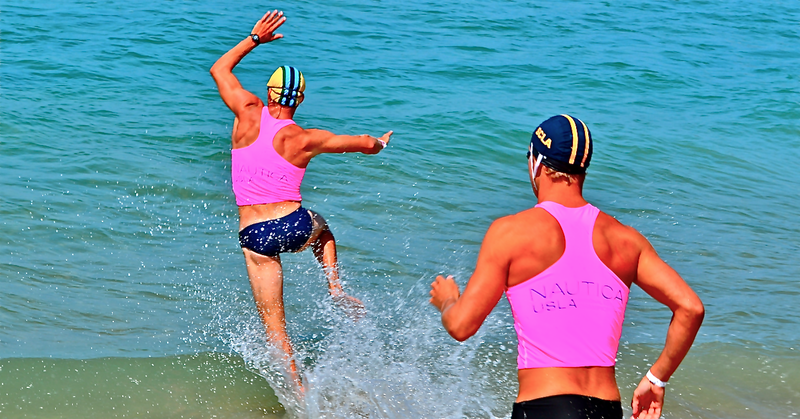 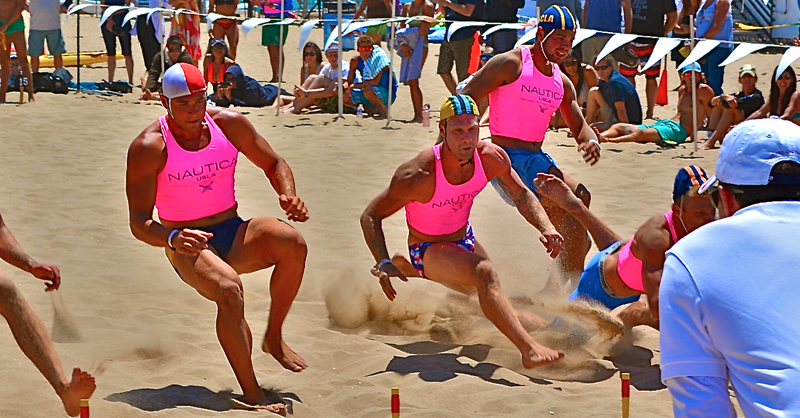 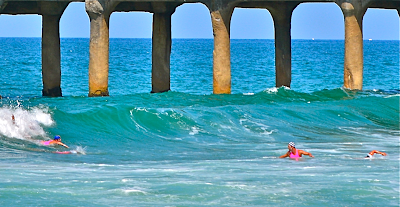 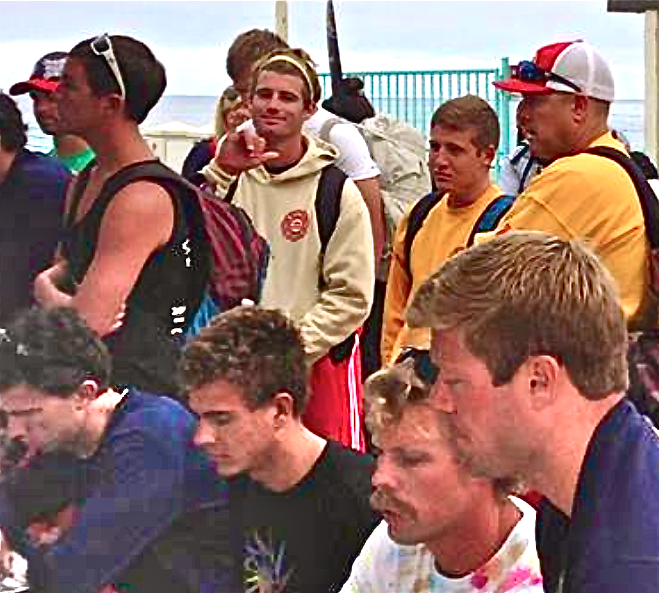 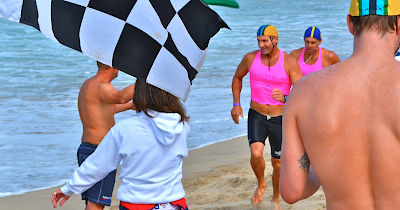 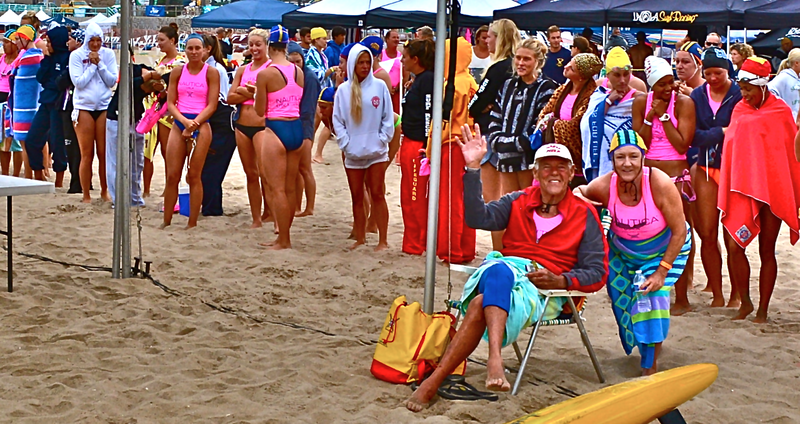 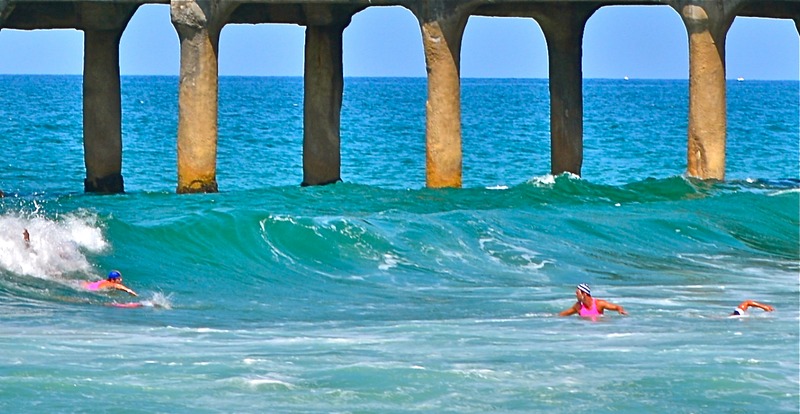 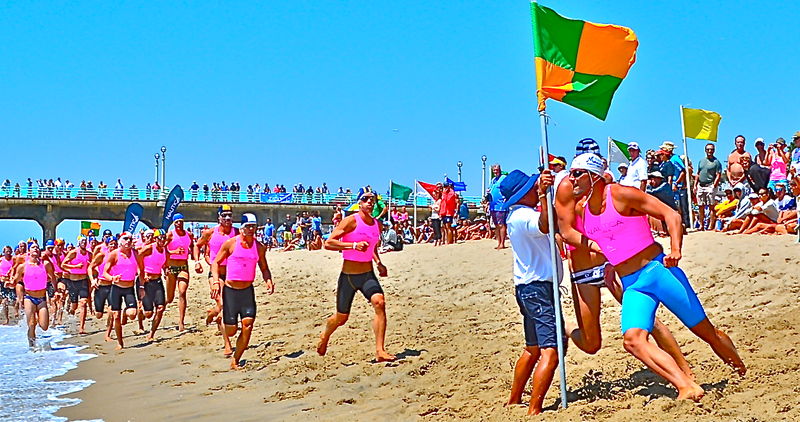 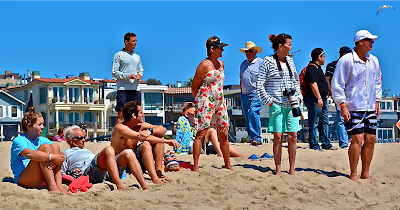 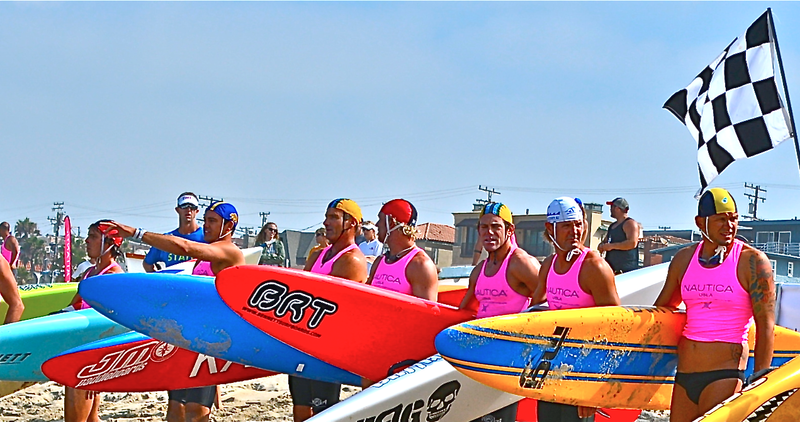 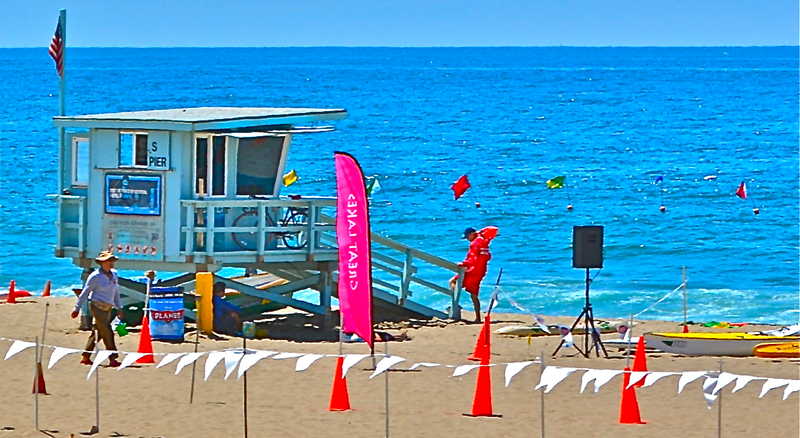 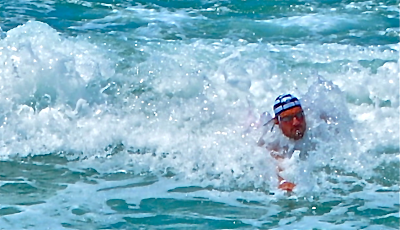 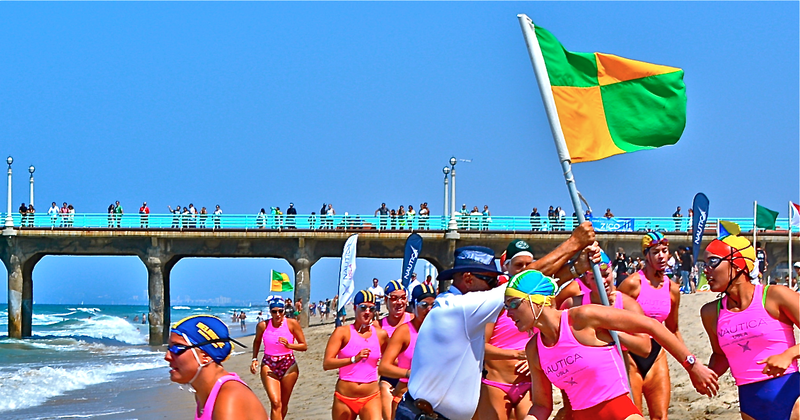 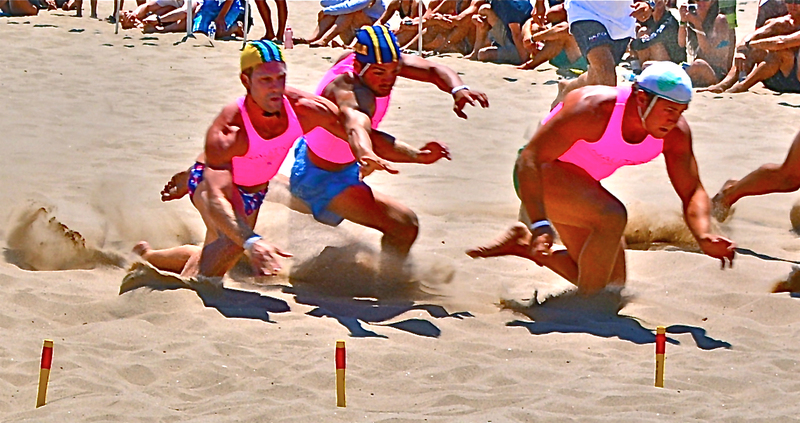 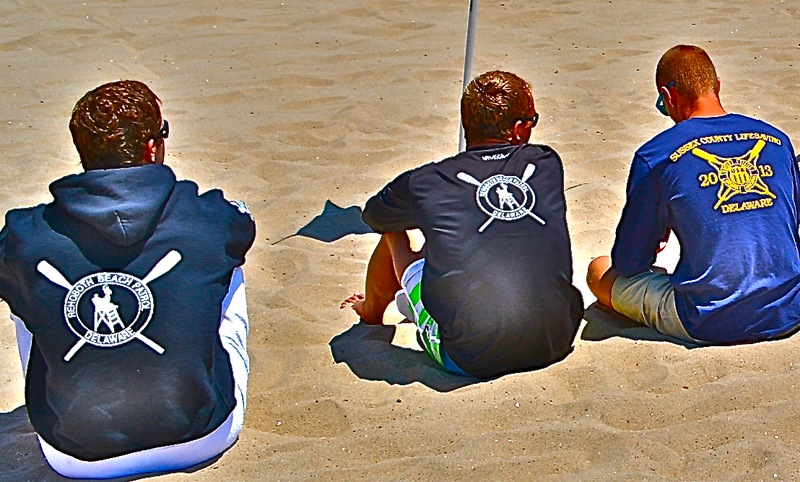 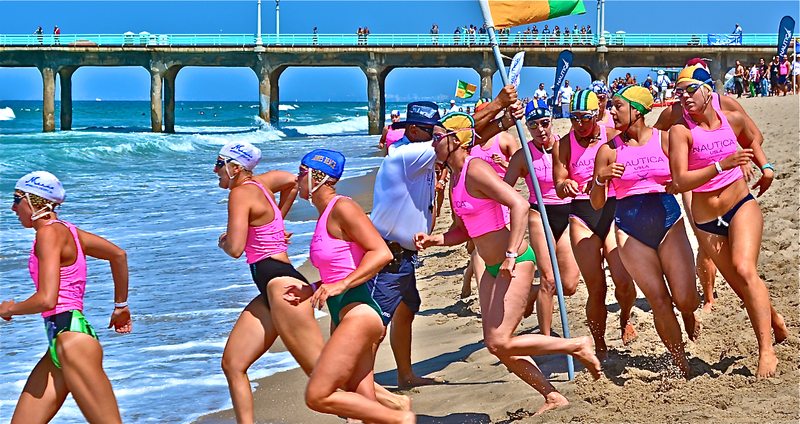 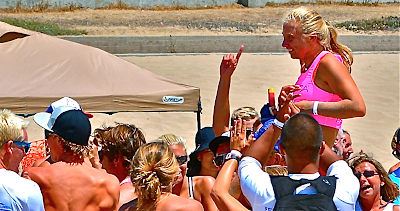 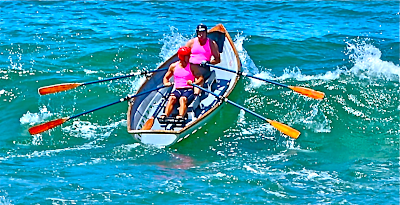 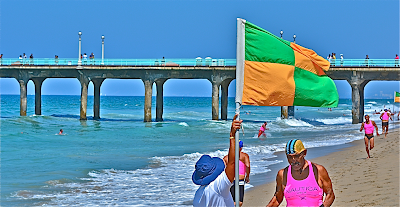 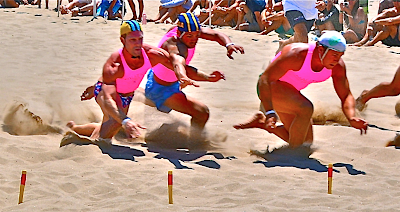 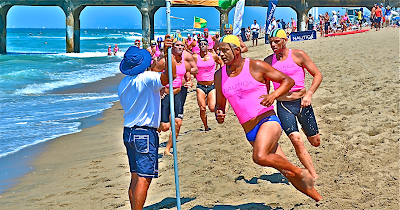 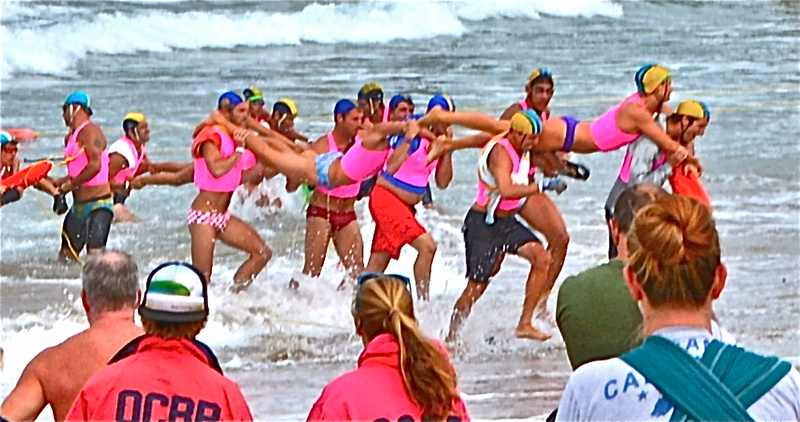 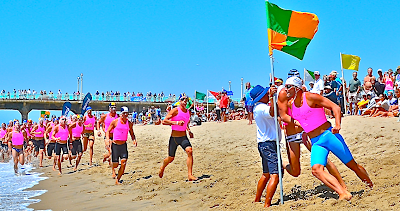 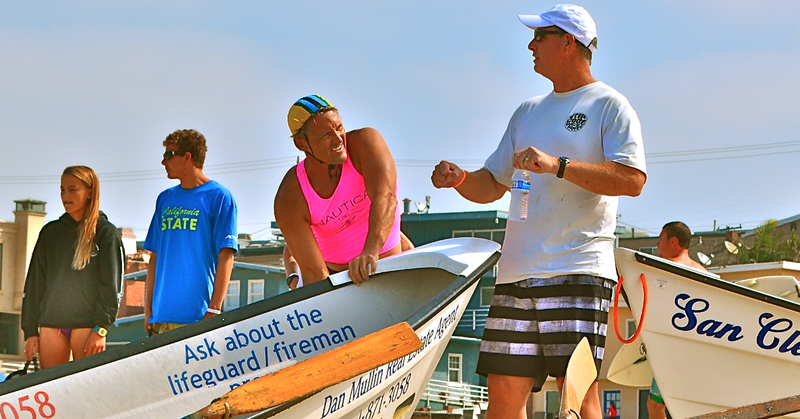 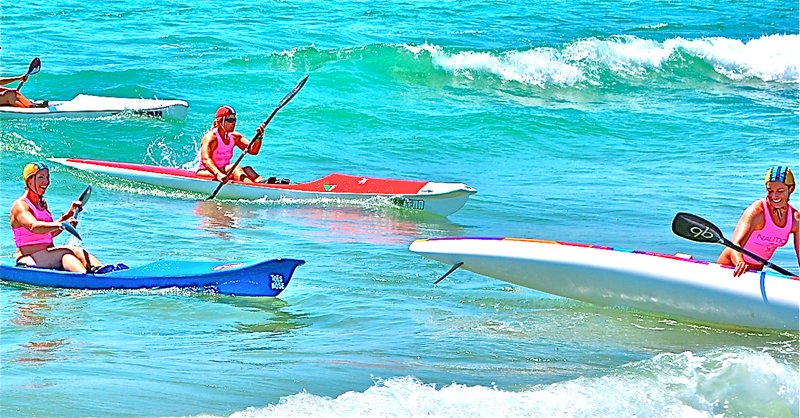 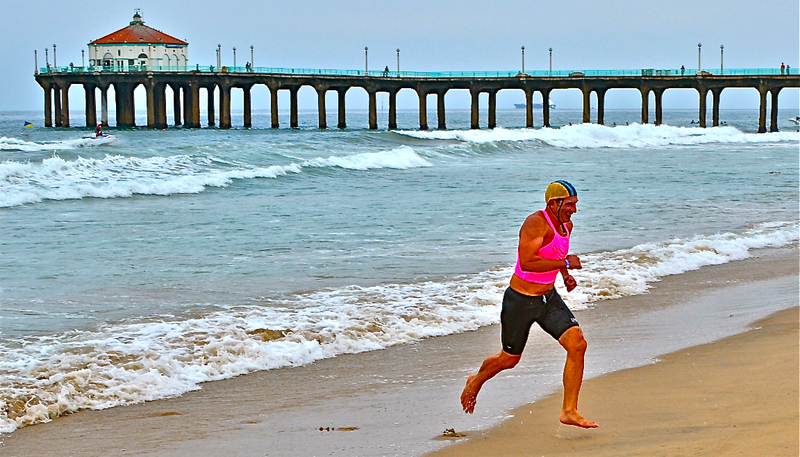 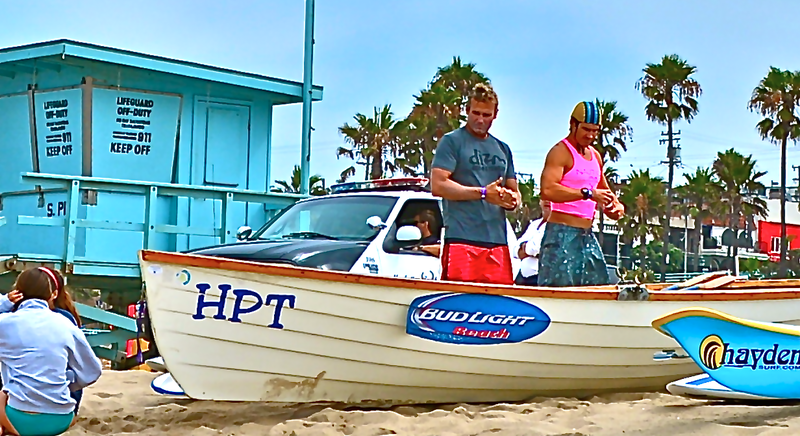 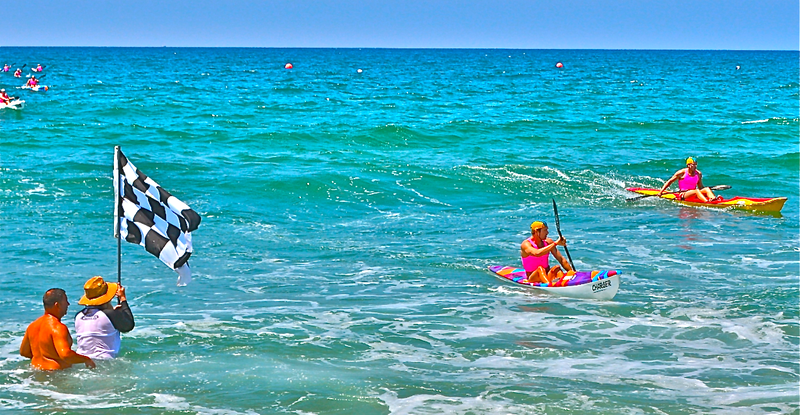 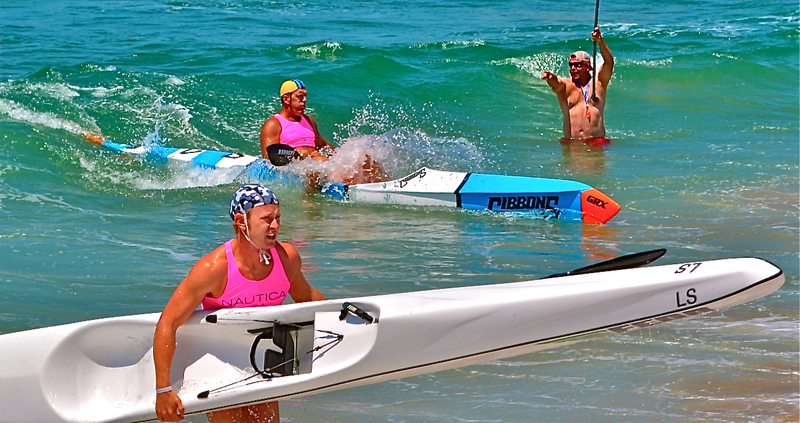 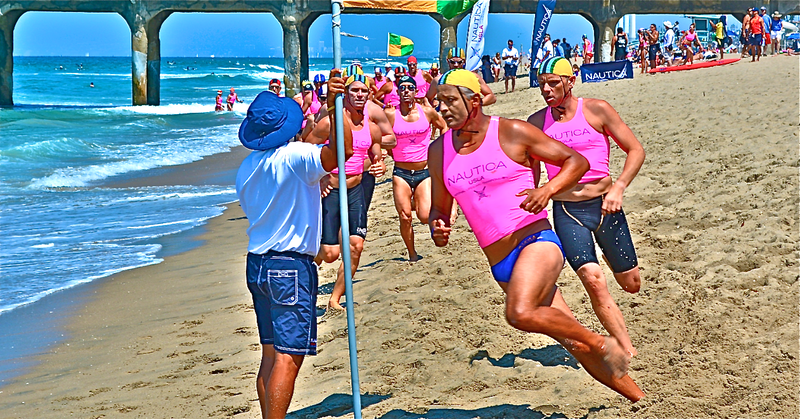 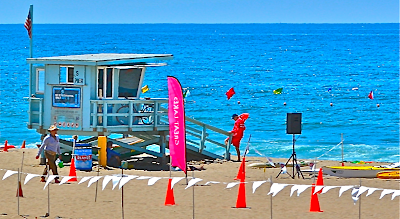 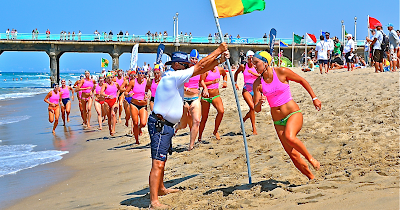 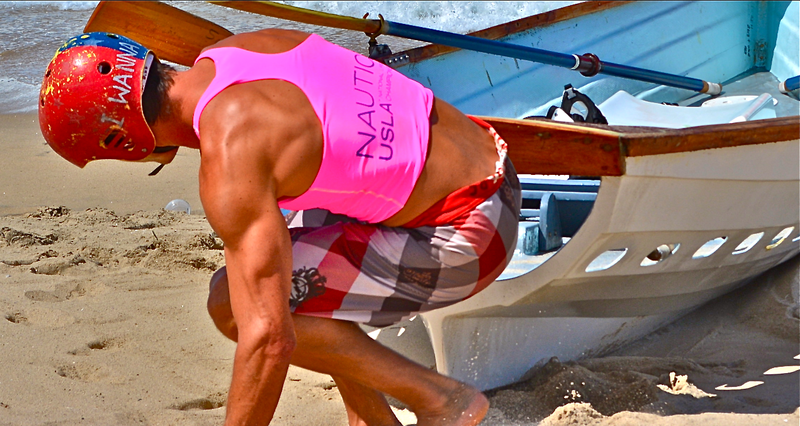 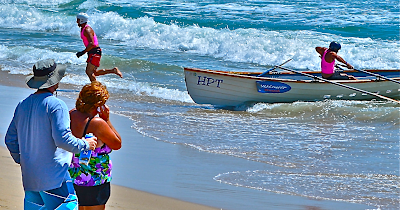 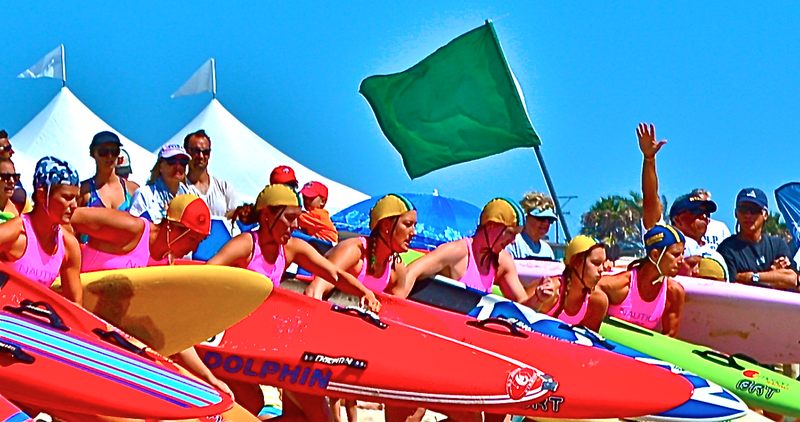 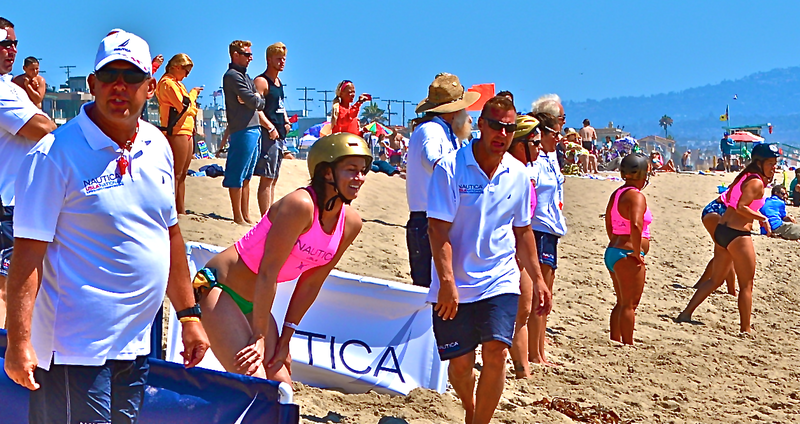 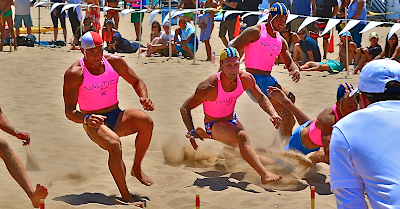 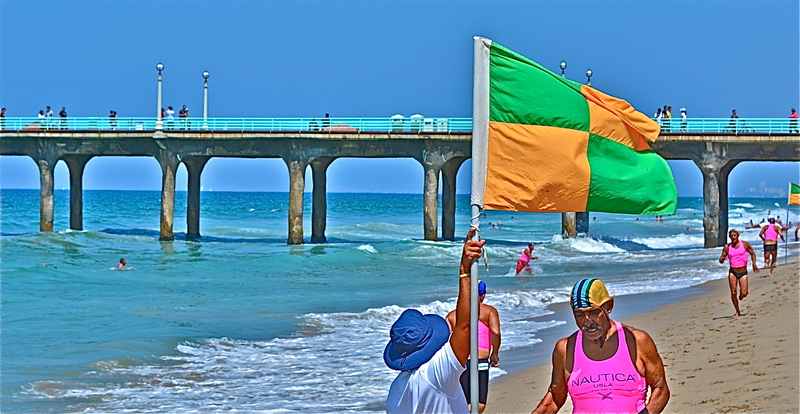 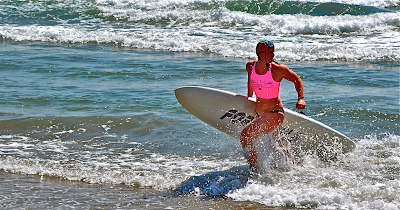 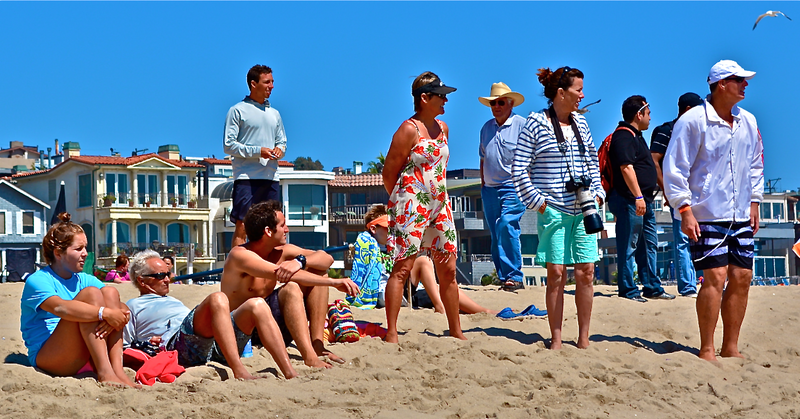 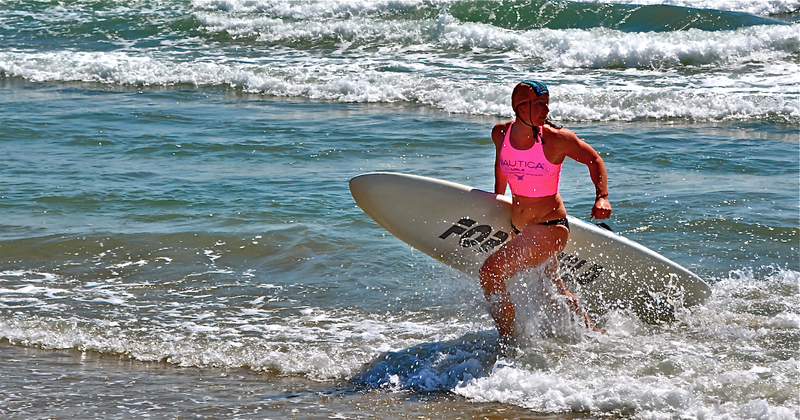 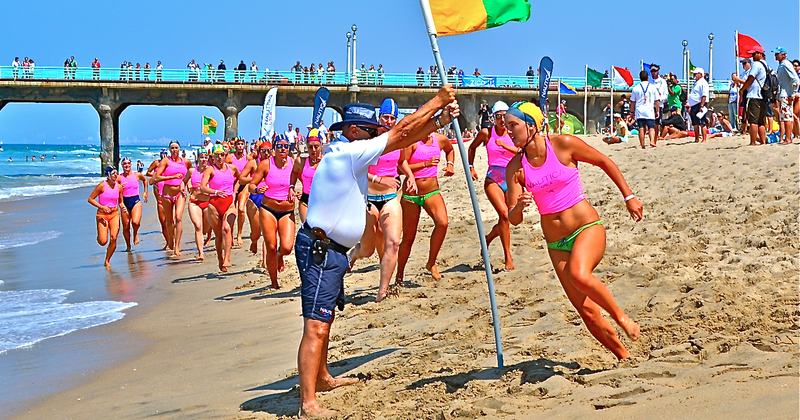 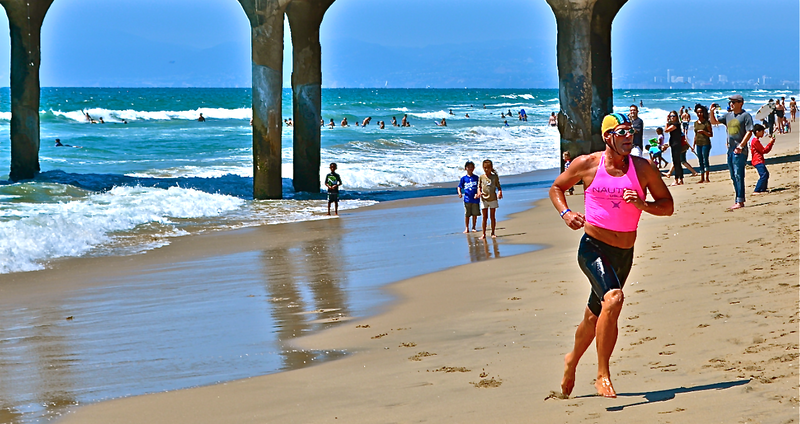 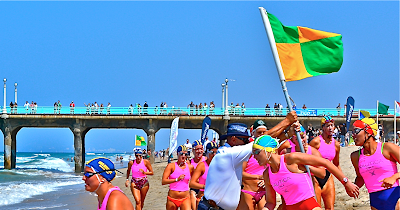 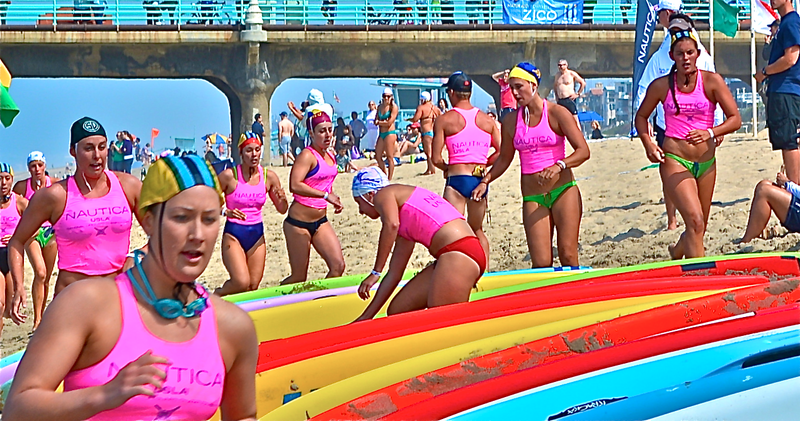 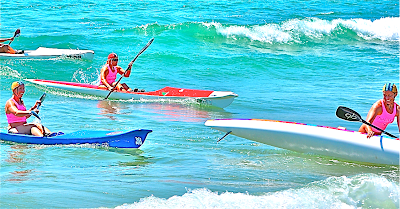 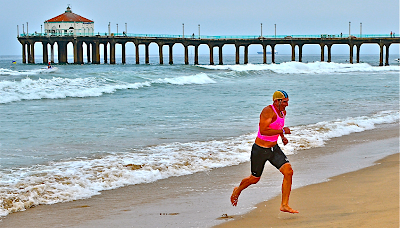 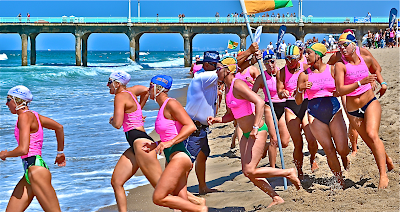 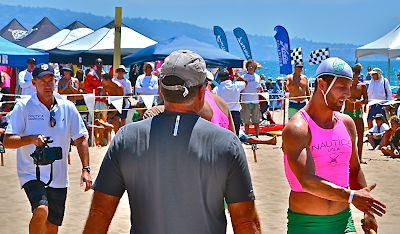 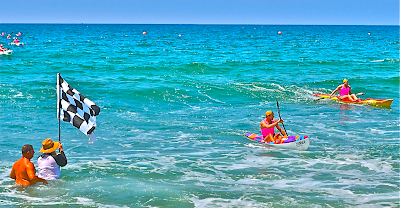 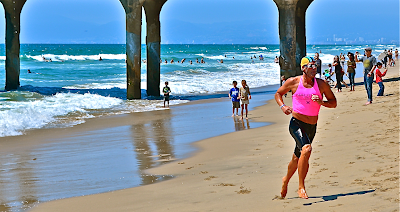 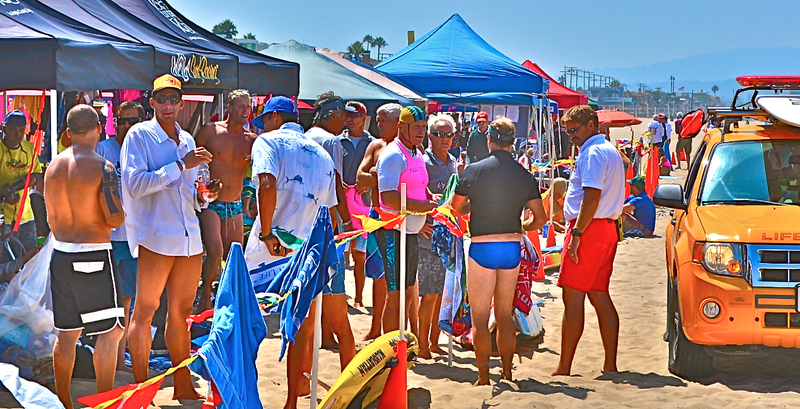 The 2013 USLA National Lifeguard Championships were just held in Manhattan Beach, Calif. and the adult competitions over these three days were absolutely spectacular! 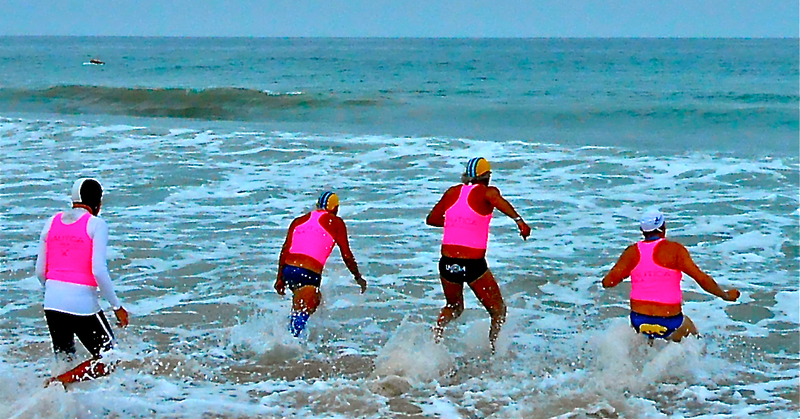 These are just a few of the photos which we especially liked. Enjoy!